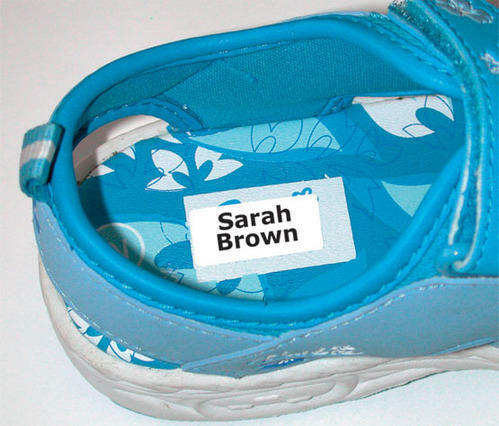 Backed with immense industry experience and deep knowledge, we are engaged in offering a comprehensive range of Shoes Gumming Label that is intricately fabricated using excellent quality raw material and modern machines. Incepted in the year 2002 at Navi Mumbai (Maharashtra, India), we, “Dimension Label”, are the prominent Manufacturer and Trader of a comprehensive assortment of Label, Uniforms and Garment Accessories. These products are manufactured using superior quality factor inputs and sophisticated technology under the visionary guidance of skilled team members. Appreciated for their optimum finish, high strength, tear resistance, attractive look and durability, these products are broadly demanded among clients that are spread all across the globe. The offered products are available in various sizes, shapes, designs, and patterns as per the varied requirements of clients. Apart from this, these can also be availed by our esteemed clients from us at the most reasonable prices.